Yeah, of course, because Pittsburgh is one of our, if not our favorite, place to play. The crowds have always been unbelievable for us over the years, all the way going back to the Syria Mosque and the Stanley Theater. I know there’s a story of the lady at the Mosque kicking you guys off the stage at the end of the show. I’ve heard Bruce use that expression before. Was that the origin of him saying that? It may have been the origin of that, actually, in Pittsburgh. We’ve had a lot of memorable times there. So, tell me how the Jukebox works. Having spent 14 months together on the road — from January 2016 to February 2017 — the E Street Band has been back in their respective corners. Bruce Springsteen is off to Broadway, Little Steven and Garry W. Tallent released solo albums, and Max Weinberg, he’s taking requests. 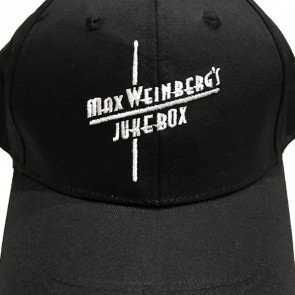 The stalwart E Street Band drummer is on the road with Max Weinberg’s Jukebox, a show in which the crowd makes the playlist from a scrolling list of 400 of his favorite rock ’n’ roll songs. The drummer, who spent more than 15 years leading the bands on Conan O’Brien’s late shows, will be joined by members of the New York/New Jersey power-pop group The Weeklings — Glen Burtnik (ex-Styx), Bob Burger and John Merjave, along with Dave “Squiggy” Biglin — who are routinely featured on Little Steven’s Underground Garage on Sirius. On Tuesday, the drummer, who lives in Florida, talked about the Jukebox tour coming to Jergel’s on Thursday. Well, it’s built for clubs and we get really intimate with the crowd. The concept is that for an hour and a half we play the songs the audience wants to hear. It’s all requests. We’ve got two big video screens and have a continuous scroll of about 400 songs, and people just yell them out and we play them. It’s definitely not a concert, it’s a party. I specialize in the songs that I grew up with, the songs that led me to become a drummer in the first place, and of course, other things, whether it’s Cheap Trick, Rolling Stones, AC/DC, a good amount of Bruce. I’ve got several guys with me who are fantastic. Right, and I guess you have to sell people on these other guys. They’re all guys I’ve played with a lot on the Jersey Shore. We do about 10 days of the month on the road. The beauty of this concept is that if you’re over 45 and a musician, the repertoire and vocabulary is pretty much what we grew up playing. If you’re playing clubs, you have to be able to play these songs. If you’re playing a song like “Friday on My Mind” by The Easybeats, and you’re a guitar player, you learn how the parts fit together. Everybody sings, except me. I just play the drums, and I’m the host and the emcee. Over 17 years on television, I developed a certain amount of chops for being on camera, and being the emcee allows me to use those TV chops. And you get to channel other drummers. Yeah, a couple weeks ago in Atlantic City, someone asked for “Street Fighting Man” from the Rolling Stones, and I went into the story about how the night we recorded “Born in the U.S.A.,” I had been listening to that on the ride up to New York City and when Bruce started playing the guitar about 2 in the morning by himself, it reminded me of “Street Fighting Man.” So I guess I was kind of channeling Charlie Watts when we recorded that. So, if I’m recording a song, if it reminds me of another song, I might think of the drummer who played on that. There are a lot of examples of that. The song “Girls in their Summer Clothes,” that’s the Beach Boys, Hal Blaine, the great Wrecking Crew drummer. What would Hal do? 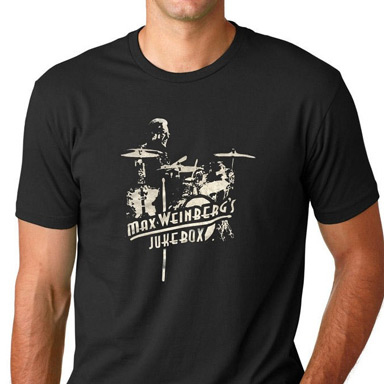 What would Charlie Watts do? When I play a Beatles song, I try to play it like Ringo. That’s the fun of playing the drums. When I play them, in my mind, I’m like 14 years old again. 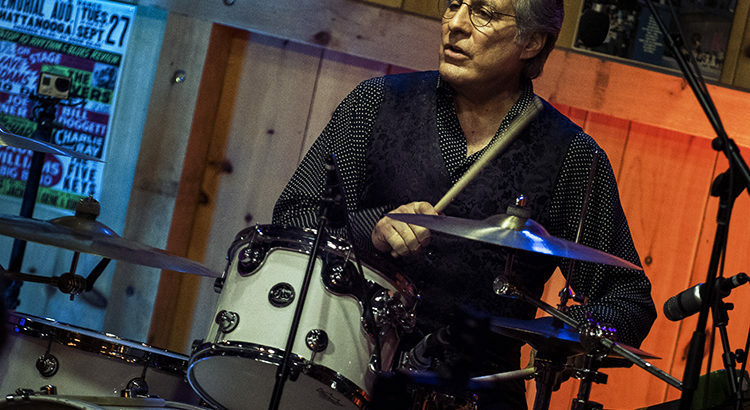 I’m 66, but it really keeps me in touch with why I love drumming, why I got into it, the thrill it gives me, and, hopefully, the enjoyment it gives the audience. My mission was always to get people to move, to dance. How do you at 66 hold up in those marathon Springsteen shows? I think physically my body has adapted to the stress of that intense performance. I’ve been doing it for 43 years. As I’ve gotten older, I’ve gotten better and more efficient. As hard as it is and mentally demanding as playing with the E Street is — out of 30 songs we play, 15 could be songs he just called out, every night — the bottom line is, it really is fun. That aspect is certainly what keeps it fresh. My son — he plays in Slipknot now — he did it while I was doing “The Tonight Show,” and he came off that experience seeing how hard it is, how challenging. The E Street Band, we’ve been around for a long, long time and people still love those songs, and hopefully that will continue. What is it like seeing your son in Slipknot? Slipknot was his favorite band when he was 9 years old. They were on “The Conan O’Brien Show” when the first album came out. I took him to see Slipknot in Jersey at Ozzfest and Joey Jordison became a good pal of his and was really kind of a mentor to Jay as he was learning to play. He learned to play the drums listening to Slipknot records — Slipknot, Metallica, Lamb of God, that genre, and punk, Ramones. When the call came to join Slipknot, he was more than ready. Were you able to help him out with that type of drumming? Not at all. It’s a completely different style and so far beyond my capability. I had nothing to do with him becoming a drummer. The discipline of playing hockey as a kid instilled that sense of work in him. And being a goalie, it’s a bit like being a drummer, that last line of defense really appealed to his personality. The only thing I told him was to hold the sticks loosely so you don’t get tendinitis, like I did, and to keep very strict time — both of which he has mastered. Do you like Slipknot’s music? Yeah, a lot of it I do. They say rock is dead, but actually far from it. For me, rock is more about an attitude than any particular chord progression, and when I go see Slipknot, I see the intensity of the fans, I see the precision the band plays with, the seriousness with which they take their job, and I like the power. I mean, I liked Vanilla Fudge in 1967, Led Zeppelin a few years later. A lot of that stuff was such loud, powerful music, so I get it.